"They say this rifle is an improvement over the other one. But, I don't see much difference. I mean, look, it still blows heads clean off, still makes a nice stain on the wall behind them, and even makes that loud thunder noise for my victory dance when I'm done! What's the big deal?" 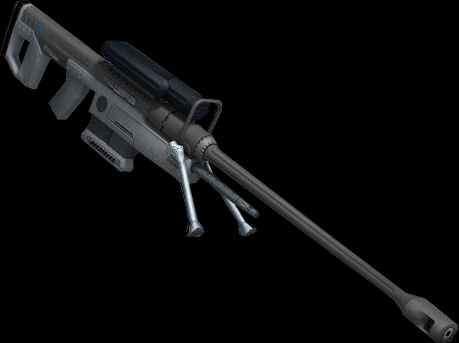 The Sniper Rifle System 99C-S2 Anti-Mat?riel B, abbreviated as SRS99C-S2 AMB Sniper Rifle is an upgrade of the SRS99C-S2 AM Sniper Rifle found, and is usable in, Halo 2. The AMB variant includes a different scope and a better designed grip for stability and accuracy. 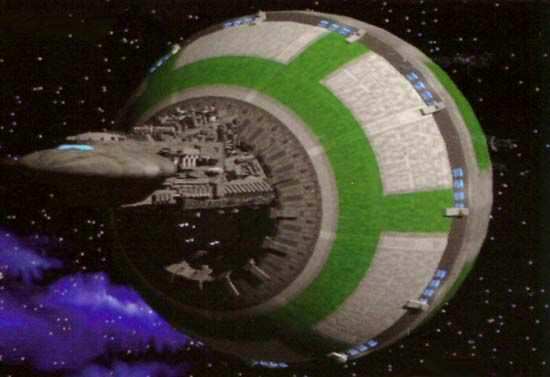 It was first mentioned in Halo: Ghosts of Onyx, when Petty Officer Second Class Linda-058 used it at Havana during the Battle of Earth and later during the Battle of Onyx. SPECIAL: Damage is -2D extra against Speeder scale objects and higher, for -4D total. -MODIFICATIONS: This variant of the SRS99 series has been designed for more comfort and accuracy when handled in sniping actions. Anyone using this weapon while aiming at a target gets +2 to their attack rolls when sniping with this weapon (listed above). -OPTICS SCOPE (2x/10x): This device has a zoom feature that allows 2x and 10x magnification. This allows the user of the weapon to multiply the given range above at these distances and increase the weapon's effectiveness (potentially up to 2,300 meters!). This scope also has a night vision function, where when activated, all objects and scenery are highlighted with a faint green light. 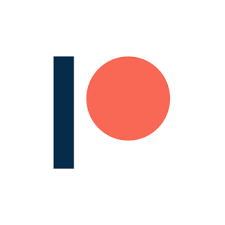 This negates any special modifiers or difficulties for seeing at night, so long as the user is viewing their targets, aiming, or even making Search rolls, with the scope instead of with their naked eye. When aiming with the scope, the user also gets an extra +1D when firing the weapon. Another variant of the scope has 2x and 8x magnification, and either variant could be found in the field when using this weapon. -NO-SCOPE: This weapon's listed range starts at 3 meters away from the user. If it is used against any targets within that range (under 3m), it is awkward for the user to shoot them with the sniper rifle at that close a range, due to the weapon's size, shape and weight. If a user must use the weapon in such close range, the Difficulty to use the rifle is Very Difficult. Successful kills at this close range have been dubbed "no-scope kills", as the user cannot use the scope at such range, and must use their own naked eyes to line up the shot against a "point-blank" target. Another take on the "No-Scope" rule would be to simply make the weapon Speeder scale, as it is an "Anti-Materiel" sniper rifle meant for taking out large, tougher objects than flesh and bone. As a Speeder scale weapon, it would then have an inherent -2D to hit Character scale objects and characters. -WHITE VAPOR TRAIL: The SRS99 series and its 14.5x114mm APFSDS ammunition leave a well-known momentary trail after being fired. The bullet is propelled so fast that it tears at the air itself, leaving a visible white vapor trail behind it. Though this trail only lasts for a brief moment, it can be seen clearly by anyone who immediately tries to Search for the origin point of the shot in the same combat round as the shot that was fired (usually, when using long-distance firearms for sharpshooting, there need to be a minimum of two shots fired, before the point of origin can be figured out). Anyone making a Search roll to find the shooter after the first shot receives a +2D visibility bonus for doing so, but hearing still requires a second shot to find. ALSO, this vapor trail can be used by the shooter as a kind of tracer to improve their aim with following shots. They receive a +1D to their attack rolls with this weapon when firing more than one shot in a combat round. -VS ENERGY SHIELDS: When used against energy shields, such as those used by the Covenant, the Damage of most UNSC firearms is reduced by -1D in Semiautomatic (for Autofire functions, see an automatic weapon). However, with this weapon's high damage, this may not be such an issue, as it has good penetration in most matters of any kind, hence it being an anti-materiel sniper rifle. -VS SPEEDER SCALE: As noted above in "Special" below "Damage", this weapon has an extra -2D to its damage dice when used against Speeder scale objects (-4D total). This is to mimic the function of the weapon from the game Halo: Combat Evolved. If GMs and Players do not like this optional rule, it can simply be tossed out, BUT, there are other write-ups of SRS99 variants available. Please look them over and decide what is best for your games, and remember that options and variants can be useful at times. NOTE: All details below are "mostly" the same as the other SRS99C-S2 AM. The main differences are listed in "Changes" and "Trivia" below, with some in "Other Info" as well, along with slight changes in the above stats block, such as the given range. 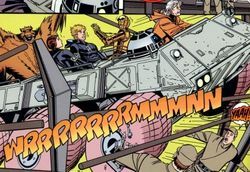 Since the Halo 2 variant was not much better against vehicles, the "VS SPEEDER SCALE" rule above still applies, but other variants of the SRS99 do not have this problem. The SRS99C-S2 AMB is a semi-automatic, gas-operated sniper rifle that fires 14.5mm x 114mm APFSDS rounds from a 4 round magazine. It is designed in the conventional layout, so the mag and operating system are located in front of the trigger. It is, alongside its Covenant counterpart the Particle Beam Rifle, the most accurate and arguably the most powerful small-arms weapon in both arsenals. The rifle features a barrel about 187.5cm long and is completely interchangeable. From the barrel to the breech to the stock, everything can be changed to fit the current situation and satisfy the operator. The SRS99C-S2 AM fires the 14.5x114mm APFSDS (Armor-piercing, fin-stabilized, discarding sabot) rounds semi-automatically from a standard four round magazine. These rounds are large in both length and width and are equipped with four symmetrical fins spaced equidistantly around the base of the projectile, stabilizing its trajectory to results of amazing accuracy, with a hit ratio of 97.3%. The rounds are described as being made of very hard metal, with the core probably composed of tungsten or depleted uranium, like most anti-mat?riel ammunition today. The APFSDS round is an anti-mat?riel munition, meaning that it is specifically designed for use against military equipment rather than against other combatants. It performs rather poorly in this role, as rounds fired at vehicles and equipment will do no damage or ricochet. 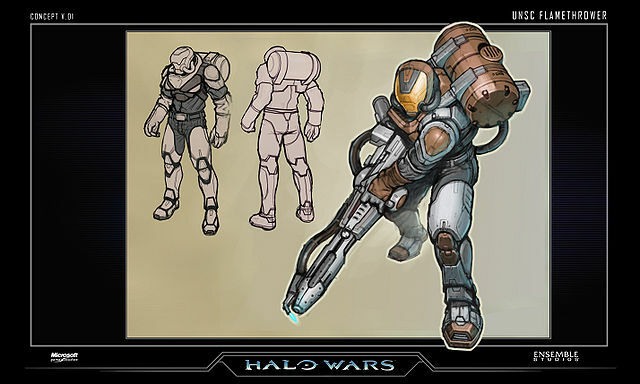 The round is best used on other combatants depending on their combat system (Body armor, energy shields, etc). The APFSDS rounds fired by the SRS99C-S2 AM leave behind a noticeable white vapor trail that can reveal the position of the sniper, however they can be used as an aiming aid for the sniper himself. The SRS99C-S2 AM is designed to be used at medium to long ranges and is equipped with an electronic scope for precisely this purpose. It has two variants; the SRS99C-S2 AM has a 2x and 10x zoom in the Xbox version of Halo: Combat Evolved and a 2x and 8x in Halo PC, while the SRS99C-S2 AMB of Halo 2 has a 5x and 10x zoom. It is tremendously useful in its designated role, considering its extraordinary range, surpassing any other weapon of comparable size, and its incredible stopping power even against body armor and Covenant shielding system. By far, its most useful application in campaign mode is taking out the higher-ranking enemies in a group to destabilize their squad's discipline and morale. A headshot against any Covenant infantry except a Zealot, Major Domo Elites or Ultra Elites. Hunters fall from one shot to their unarmored torso or neck. This does not account for Flood, however, due to the body organization as explained in detail in the Disadvantages section (below). The Flood can, however, be rendered harmless by removing their limbs or by placing a round into the embedded Infection Form. In multiplayer, the SRS99C-S2 can be highly effective at close range in the hands of a skilled operator, as the highly damaging round is just as powerful at close range; a single round followed by a melee strike will kill a hostile almost instantly. The SRS99C's projectile has a slight travel time at great distances, and requires practice to use effectively at range. When used in close quarters, its precision nature, slow reload time, small magazine capacity, heavy recoil, and slow rate-of-fire leave absolutely no room for error. A small combat load and the relative scarcity of ammunition available for the weapon also make it bad practice to expend ammunition on smaller, less threatening combatants, such as Grunts. The SRS99C is also largely ineffective against most Flood forms, due to their body organization; damage done by the SRS99C is minimal to the Flood forms and would only cause the Flood form to flinch for a moment. It is often recommended for operators to simply switch to other weapons should they encounter a Flood form. As explained previously in the ammunition section, rounds fired by the SRS99C would leave a trail that could be traced back to the sniper's location. The rifle is fatally ineffective against even light-skinned and unarmored vehicles (belying its designation as an anti-mat?riel weapon) unless a shot can be taken on the vehicle's occupants, except for Wraiths. The SRS99C-S2 AMB appears to be heavily inspired by (if not directly copied from) the South African NTW-20 and the Barrett M107 SASR. Many of the features present in the Halo version are included in both weapons, such as the recoil-dampening piston, the general appearance of the receiver, the magazine placement, muzzle brake and many other attributes. In addition, the round (14.5 ? 114mm) is an actual rifle cartridge, developed by the Russian Army for anti-tank rifles, heavy machine guns, and sniper rifles. However, the real 14.5 mm round has a standard cartridge design, whereas the round used in Halo is an APFSDS round (armor-piercing, fin-stabilized, discarding sabot). The influence for a muzzle brake at the end of the SRS99C-S2 AMB comes from many different current sniper rifles, namely the Barret M107 SASR. However on the Barrett M107, the gasses are forced out of the muzzle brake diagonally away from the barrel and towards the shooter. This helps to significantly dampen the recoil. The SRS99C-S2 AMB 's muzzle brake is shaped so that the expanding gasses are forced out the muzzle brake and away from the shooter. This would slow the round's muzzle velocity, and significantly increase the recoil by around forty percent. -Decreased max magazine capacity from 28 to 24. -Linda-058 changes the sniper's ammo size to .450-caliber in Halo: The Fall of Reach. In fact, she shoots more rounds than simply four bullets at a time. -In the novel Halo: Ghosts of Onyx, the SPARTAN-IIs and IIIs utilize grapple rounds in place of standard ammunition. These rounds are described as harpoon-like shafts attached to braided monoline rope which is coiled in a bag. -"Robert McLees is definitely the go-to guy for the gun stuff," says William O' Brien, part of Halo 2's animation team, "I wanted to come up with an animation for the sniper scope, an 'idle cycle'. If you activate the scope, and then sit too long without doing anything, the animation would kick in periodically, just to keep things interesting... Simple, right...? He replied, 'No way. If you adjust your scope in the field, you're dead. Snipers don't do that.' That's how detailed his weapon designs are -- not just guns, but how they work, and how a sniper would fire them. Amazing." -In Halo: Combat Evolved, enemy AIs do not acknowledge the sniper rifle's shot if they do not see the sniper, despite its loud crack in close-medium quarters. If the player downs an enemy with the sniper rifle, some will note the fallen AI, but will not search for the player as they would if the player fired with any other weapon. -One possible reason that the Halo: Combat Evolved Sniper Rifle has a night-vision setting is that, like the rest of the equipment available on board, was upgraded for the Spartans' mission. 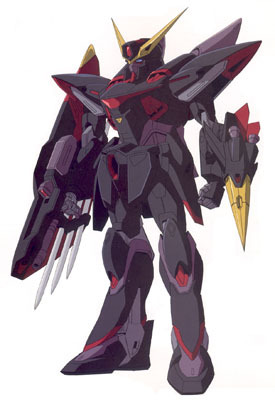 Also, Linda-058 needed specialized equipment, so the stock of snipers may have been upgraded for her.